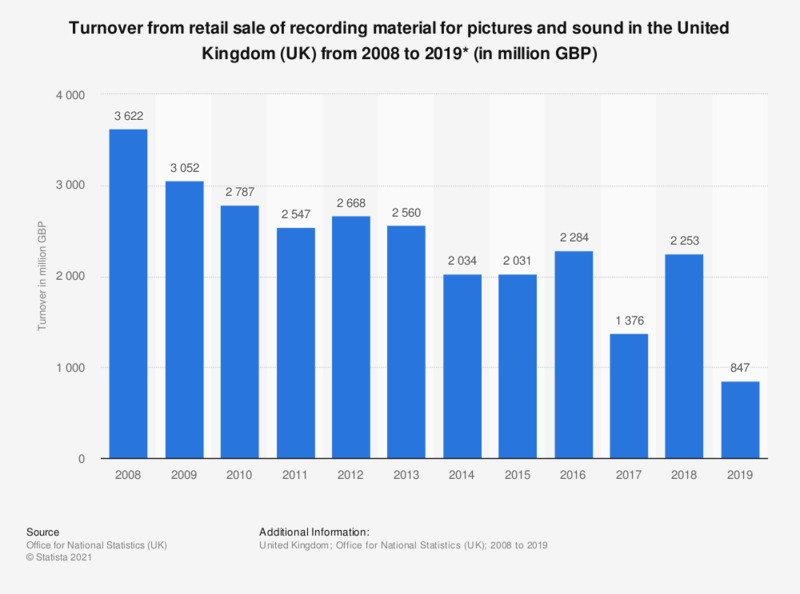 This statistic shows the total annual turnover of the retail sale of recording material for pictures and sound (including audio and video tapes, blank and pre recorded records etc) in the United Kingdom, from 2008 to 2016. Over this period turnover from recording material retail sales generally declined, reaching a low of 2.63 billion British pounds in 2015. This is a decrease of nearly 1 billion British pounds since 2008. * Includes audio and video tapes, blank and pre recorded records etc.